I have been using Jiffy pellets (regular ones and coir) for some time to grow. I use the 30mm size. I like using them because they can be easily transplanted to pots or to the garden. I got to thinking. If I could find a tiny mesh pot that would fit into the Aerogarden and accomodate my pellets it would be perfect. The pellets cost me about 5 to 7 cents each when I buy in bulk. So, I started looking for a "pod" that would fit the Aerogarden. I found jus that and they arrived all the way from China today. 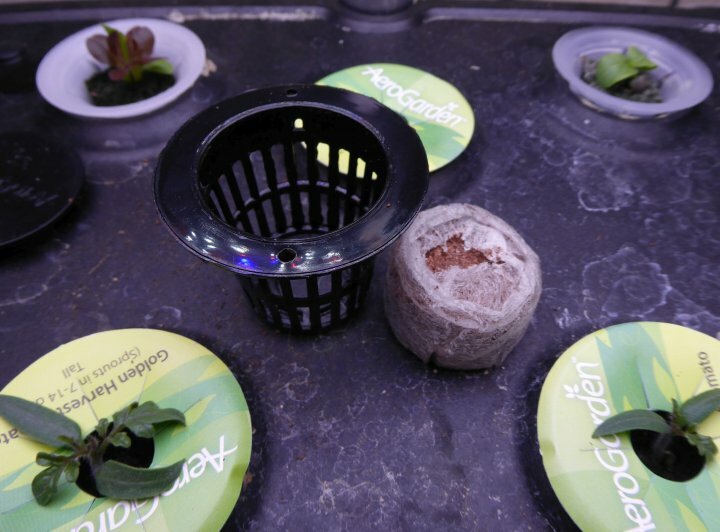 They fit perfectly in the Aerogarden and the pellets fit, a bit snugly, into the mesh pots. Attached are some pics. I'm starting a test tonight.